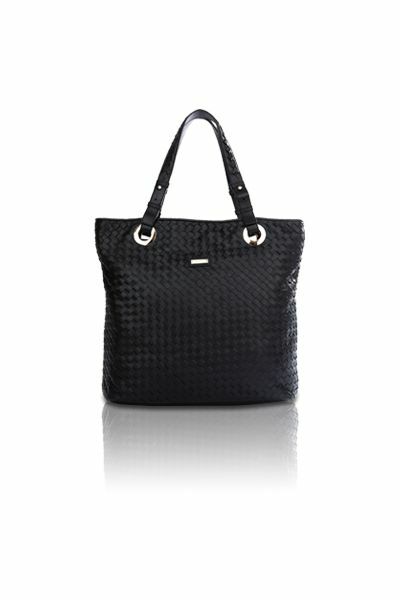 This tote is perfect for all the busy fashionistas out there. Luxurious blue leather that is woven into an intricate design. This bag is adorned with gold hardware and a gold RIONI Moda Italia emblem. Soft double leather straps that make carrying your contents a breeze. Top zip closure opens to a roomy interior. Goldenrod fabric RIONI monogram print lining. Contains an interior side zippered pocket, a cell phone pouch, and a side pocket for organization. Features a center zippered divider pouch. 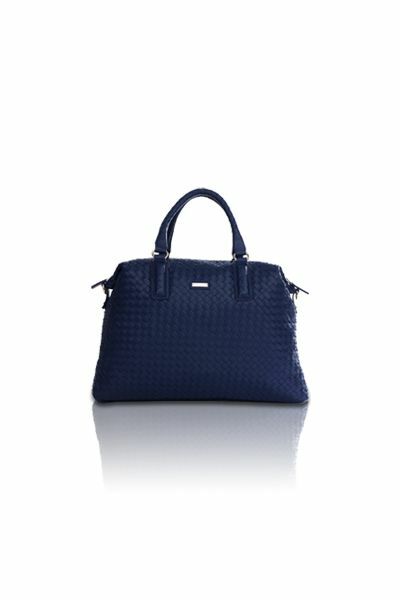 L16 x W5 x H14"
Product: The Woven Tote (Blue) was added to cart.